My favorite part about the new year is that it feels like a second chance at a fresh start with your class! Here are some ideas and tips to inspire you to take this opportunity to revitalize your classroom! Doesn't it sometimes feel like you come back from winter break and your kids have forgotten every procedure you worked so hard on at the beginning of the year? January is the perfect time to reteach all those important procedures. Taking a bit of time to do it now will benefit you and save time during the rest of the school year. If you used our Guided Discovery set at the beginning of the school year, now would be the perfect time to brush up on what you covered earlier in the year. The last pages of the teacher's guide has ideas for mid-year reminders. Do you feel like you didn't cover the procedures well enough at the beginning of the year? Take the time to stop and do it now. You still have many months of school left, so make the most of them by tightening up those procedures. Quick tip: if refreshing all your procedures seems too overwhelming, choose the most important procedure that you feel needs work and focus on that only. Chances are that effort will pay off big time in your day to day classroom management. How is your current seating arrangement working? Chances are your class could do with a switch up. If the desk arrangement is working well enough, you could just move the students to freshen things up. But if you think it's time for a major change, try a completely new arrangement of your desks! Quick tip: we highly recommend turning your students' desks around so that they don't store anything inside them! You will save so much time by not having to clean out desks or deal with lost items and distractions hidden in desks. We stored our students' workbooks, notebooks, etc. in stacking plastic drawers. This one small change will make a big difference! Check out our Classroom Setup Pinterest board we have to help you find some new seating arrangement ideas. Follow Emily Kate @ Second Story Window's board Teach: Classroom Setup on Pinterest. You've still got a few months, but the end of the year is creeping closer! Take a good look at the core and think about where your kids need to be before those big, hairy tests. What can you do now to make sure they're ready in a few months? Focus on persuasive writing? Really push those math facts? We have a fun set of around-the-room review games. Consider setting it up for your students in the next few weeks so you can pin-point those holes in understanding. Our morning work and homework pages spiral review the most important areas of content. If you aren't using these yet, try using these pages at some point during your day or as homework. We think you'll be surprised how much students can learn from just a little bit of practice and review each day. Quick tip: Work on building on-task stamina with your students and keep track of their progress on a class graph. This skill will help them to focus during testing time. Deciding how to structure the rest of your year will be easier when you have a good idea of how your students are progressing. So, do those mid-year assessments. If you do Words Their Way, you'll want to do another round of the Primary Spelling Inventory. Take a good look at your students' mid-year fluency. Are they meeting those benchmarks? We've got loads of ideas to help your kids keep progressing with fluency. Quick tip: If you're doing an assessment like the WTW PSI that is given multiple times a year, try using a different colored pen for each quarter's assessment so that it's easy to see at each assessment's specific data at a glance. If you live somewhere that receives cold winter weather, you'll definitely want to plan ahead for inside recess. blocks or any type of building material. I bought a giant bag of SOLO plastic cups and the students LOVED spending recess building with them. And of course, Brain Breaks are perfect for inside recess. Check out our post for tons of ideas and resources for no prep/no technology Brain Breaks and also take a look at our Brain Breaks Pinterest board! Follow Emily Kate @ Second Story Window's board Teach: Brain Breaks on Pinterest. Quick tip: summer themed brain breaks would be tons of fun to use with your class during the winter, or vice versa! Before school starts you have a million ideas for your classroom, right? And then you start getting ready and you realize that you can't possibly be ready to do all of them at the beginning of the year. When it comes to starting something new in your classroom, it can be especially overwhelming at the start of the year. But January is the perfect time to give those ideas a try. Quick tip: start with one idea and see what you have energy for! If you have a tight routine for your mornings, you'll be amazed at what you can get done in that time. Ideally, a good morning routine builds in time for you to do clerical tasks, time for students to wake up their brain with rigorous and meaningful morning work, and time to connect through morning meetings and morning messages. Take a look at our 2nd Grade Daily Schedule to get an idea of how we structure our mornings. If your mornings aren't what you want them to be, see where you can tighten up that routine! Quick tip: if you use morning messages, do them in advance! If you are scrambling to come up with a message everyday, it's easy to fall out of the routine. That's why we planned out morning messages for the whole year in advance and reused them every year. It's so important for students to have the opportunity to reflect on their skills and set goals for the future. It would be a great time to show them some work they completed at the beginning of the year and compare it with recent work and see how far they come. Then they can reflect on what they would like to improve on before the end of the year. Quick tip: sign up for our newsletter and snag these free goal setting pages for grades K-6! The download includes a teacher's guide, specific pages for each grade, and also pages that leave the grade-level portion blank so you can pick and choose what you use and how you use it. You will receive a link to download the freebie in your signup confirmation email. Subscribe to our mailing list for these free goal setting pages! Completely overhauling your classroom organization can be daunting mid-year. Save the big declutter for the summer, but pick one thing right now to tidy up. Maybe clean out one cupboard or make a goal about emptying your box in the office every day. For me, the trouble space was always up by my whiteboard. Keeping that one little spot clutter free made a good resolution. Quick tip: if you're holding on to odds and ends that you think you might maybe need someday (but you haven't yet found a use for) we give you permission to get rid of these things! Chances are you will never miss it and you will definitely appreciate the way a clutter-free environment will energize you and your classroom space! This time of year can be tough as a teacher! One bit of advice I got was to have at least one thing you're excited to teach the next day. It makes such a difference in my attitude and the feeling in my classroom if I'm looking forward to at least one part of the day! Some days I was excited about a fun grammar lesson on contractions. Some days it was getting my class excited about counting coins. Some days it was feeling the kids' enthusiasm for our read aloud. It didn't matter what as long as I had something fun that made it worthwhile to crawl out of my warm bed! 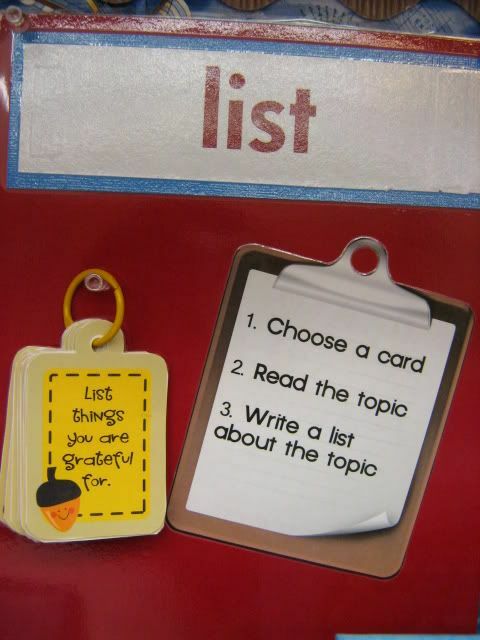 Quick tip: Why not take a peek at your TPT wish list? Treat yourself to something that would make a dark, cold day a little brighter! Tell us in the comments what you bought for YOU! Don't reinvent the wheel! We've done a lot of hard work on homework, morning work, vocabulary curriculum, fluency, and more so that YOU don't have to. Visit our TpT store and treat yourself! You deserve a break. Words are not just words. They are the nexus—the interface—between communication and thought. When we read, it is through words that we build, refine, and modify our knowledge. What makes vocabulary valuable and important is not the words themselves so much as the understandings they afford. Vocabulary Notebooks are also in practice in all K-5 classrooms and is an academic accountability component of our School Improvement Plan (SIP). Using "tights and looses" language, vocabulary notebooks are a tight, the physical way they look and kept are classroom looses...teachers and grade levels decide this piece. When I first read this, I was swamped with a huge wave of teacher guilt/panic. Jen’s district feels vocabulary journals are important enough to mandate their use. I don’t use vocabulary journals. I HAVE RUINED ALL THE CHILDREN!! I stewed a bit in the teacher guilt/panic and then I got to work. I was also starting Daily 5 at this time, so I had to coordinate with that program as well. Plus, I wanted our vocabulary program to tie into a book. Let’s give these new words as much context as we can, right? Also, I just love books! I was sad that I didn’t have time for many of my favorite holiday-themed books, so I picked something festive for our weekly focus. I scanned each book and selected four Tier 2 words that I thought would be useful for the kids. (For more about Tier 2 words, check out our post on vocabulary.) I tried to choose words with definitions with which the children would have some familiarity. For example, the word lug would be good to teach because kids already understand the word drag. The first pages of the notebook are used for a word bank. 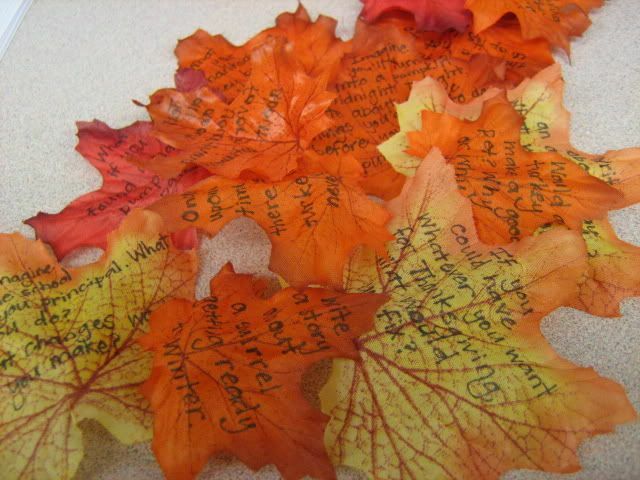 This is a place for students to collect interesting words they come across in their reading. My original plan for this word bank required the teacher to personally mark and label each page for each journal. Pretty unfeasible! To save you some grief, we came up with some glue-ins. The kids can do most of the work, but you’ll want to supervise that each paper gets glued onto the right page (the kids skip pages so easily!) and you’re good to go for the year! You can get the printables for the Word Bank in our Tools for Vocabulary Instruction pack. Because our spelling program is a little intense, we only do Daily 5 four days a week. That gave me a perfect chunk of time on Fridays (last year it was on Mondays), for some vocabulary work. Friday morning, when we would normally do our first Daily 5 station, I gather the class. On the board I post our fist-to-five posters. Then I put up the first of the vocabulary words. Each student ranked his/her familiarity with the word by showing a fist (0 fingers) meaning: I’ve never heard this word before. At the other end was the 5 (showing all 5 fingers) poster: I can tell you everything about this word and use it in my writing. We had to talk—a lot—about what it means to “know” a word. Second graders often think, “Well, I’ve heard this word so I must know it!” But being able to recognize a word or even tell what it means isn’t the same as knowing that word. Unless you can use it correctly in various contexts, you don’t really know a word. Knowing a Tier 2 word at that deep of level is really hard for 2nd graders! The kids gather on the rug for the story. I read aloud the book and if they hear one of our 4 words, they make a soft, “Ding!” If you didn’t know, that’s the sound a light bulb makes when it turns on in your brain! I pause in the story and we compare our earlier predictions with the way the word was used in our story. Then I continue reading till we’ve finished the book. This whole process takes from 20-40 minutes (depending on how much I talk!). Later in the afternoon, I distribute a foldable vocabulary page. The paper is folded vertically into a gatefold and cut horizontally and a bottom strip cut off (so the page will fit in the notebook). Four little lines are snipped on each fold, which is why my students refer to these as “Vocabulary Flaps”. There is one flap for each word and another flap next to it for the definition. If you're having students make these, have them cut the bottom strip off. Then stress FOLDING BEFORE CUTTING. It will save you a lot of headaches if the word flaps are all folded first. Also, point out the little octagon on each line. That's the STOP CUTTING! mark. As a class, we generate a very simple, student friendly (2-3 word) definition of each word. I write these on the board and the kids write it on the right side of their vocabulary flap. On the inside is a place to mark the part of speech (noun, verb, adjective or adverb). They also include a personal connection, “What meaning does this word have in your life?” They may use the word in this connection, but I don’t mandate it. And I don’t require that they use the word in a sentence. That’s because these activities are just an introduction. It takes a lot of experiences before children know these words well enough to use them in context. On the right is a place to draw a picture of the word or connection. Visual representations provide vital support for helping kids internalize words. Of course, at the beginning we go through all of this together. We brainstorm ideas for an appropriate picture and talk about why a simple sketch—just to help your brain remember—is more important than a detailed drawing that will take 45 minutes to finish! After they’ve finished their Vocab Flaps, and shown me!, I give them a sheet of word cards. These are practice activities for the 4 words we’re focusing on for the week. I used to hand out the word cards and Vocab Flaps at the same time, but I found the kids were just copying the pictures on the card instead of thinking of their own. So now they don’t see the cards until their drawing is finished. The Jargon Journal is then put away for the day. Once they're used to the routine, some kids will have everything cut, glued, and filled out in 5 minutes. Some kids will drag their feet for 20 minutes. You know how it goes! I had one kid who was the slowest cutter ON THE PLANET! I pre-cut his to save me some weeping and wailing and gnashing of teeth. The next day, the journal comes back out during our Daily 5 time. When students get to the Work on Writing station, they must do a vocabulary card first. They select one of their 4 cards and glue it to the top of the next page in their journal. We practice drawing a line more-or-less through the middle of the page (teaching them to start at the middle hole of the page is a good guideline). They’ll need room to write on the page as well, so teaching the students to glue the first card near the top of the page and the second card near the mid-line is important. Each card has a definition, picture, and sentence using the word in context. Then the children answer some simple questions about the word. Last, there is a prompt for the children to respond to in their journals. The answers may be simple, but enforcing a “use complete sentences” rule is important to their development as writers. During the course of the week, the kids do one word card each day, although they might have to double up if it’s a short week. At the end of the week, we do a review activity. The review is designed to include LOTS of active participation. Acquiring word knowledge is a hands-on sort of thing. Kids have to make meaning for themselves. After the review, I give them a short (5 question) quiz on this week’s words. This is just a quick way for me to see who gets it. I also hang a laminated page on the wall showing this week's words. The poster stays on the wall all year. That way, when we come across one of our vocabulary words, we can add a tally mark. Later we can see which of our vocabulary words are used most often. It's a lot of fun to be reading aloud and hear a chorus of little, "dings" as mental light bulbs are lit. The kids remember the words better than I do! It can be a lot of work to teach this way, but it's been so useful for my kiddos. When a student brings me their silent reading book to show me one of our vocabulary words from 3 months ago that she recognized in her reading, it just makes my day. And when they use one of our words in their writing, I feel like I might be doing okay at this teaching thing after all! Phew! That's a lot to take in! Let me break this down a bit. Click here to see what units are available in our shop and to download a FREE unit. I know it's a little late in February for a new Valentine idea, but I just threw together this Valentine for something yesterday and thought I'd share the free download with you! A couple of notes: The pencils were 8 for $1 at the Target Dollar Spot. The width of a pencil is a bit bigger than a traditional hole punch so I made circles in the right size on the tags and just punched a few holes with the punch until the circle was filled. And the pencil rounds out the hole nicely when you put it through. This was easy, quick, and cheap! Plus it's a Valentine without candy and aren't all parents and teachers happy for another one of those ideas? Download the pdf file for the tags below. Enjoy! Note: These Valentines were inspired by this one and this one. See more Valentine ideas on my Valentine Pinterest Board. Note: This product is currently under major renovation! We have just uploading 20 passages with the new leveled design to the bundle. We will update this post with more information when the bundle is complete. In the meantime, if you purchase this product before it's complete you will receive the finished levels + the old version of the product. Click here to download a free sampler of the newly redesigned fluency homework. Doesn’t that sound like it should be something fabulous? Or scandalous! Not so much when you know it stands for Dynamic Indicators of Basic Early Literacy Skills. Basically a very long name for reading fluency assessments. Prior to my school adopting the program I hadn’t given much thought to assessing and tracking reading fluency. Once that became part of our literacy routine, my level of concern regarding fluency went way up! I nosed around on-line to see what other teachers were doing to help their kids improve their reading and came across a literacy coach’s blog. I’ve long since lost the link to her site (sorry anonymous literacy coach!! ), but she suggested weekly fluency homework. My team started using this in the fall of 2008. At the time I’d just write a random story and put it in the homework template. I had a huge ah-ha moment in the middle of that year when I gave the kids a retelling of Hans Christian Andersen’s Steadfast Tin Soldier. That story came up in discussion the following week and I was amazed by the thoroughness of their retellings. If I’m going to make them read a story 4 times, it should be worthy of rereading and it should meet more standards than just fluency! So we have 4 passages on koalas. The students read an informational text, fiction story with koalas as the main characters, Australian myth about koalas, and a nonfiction piece about the koala rescued by firefighters in 2009. The students are asked to find similarities and differences among the different passages. This is part of our weekly homework. On Mondays I distribute the story to the class. I read it to them while they follow along with their plastic witch finger (you have to make them follow along or about half of them drift off). Then we choral read it as a class and complete the comprehension questions together. This goes into the homework folder and I don’t see it again till they turn it in Friday morning. While it’s at home, it’s expected that a parent or older sibling time them for 1 minute and record the total words read correctly. The pages is set up to make this run as smoothly as possible for mom and dad. The main focus is, of course, the story. The number of words for each line is noted to the right side. Because the ultimate purpose of reading fluency is to improve comprehension, we have to give the students stories that are long enough to require some thought. So even though the goal for 2nd grade is to read 90/minutes by the end of the year, these stories are longer than that. Also, fluency passages have to be on the students’ independent level. Since 2nd graders are shooting for the 90 words/minute goal, the first 100 words (or so) I tried to keep to a 2nd grade level. (Let me tell you that was a trick with some of the biographies!) I figured kids who could read faster than that needed more of a challenge, so the text gets harder the further you go. Also, as the year progresses the overall texts get more complex. If you notice in the corner there: RF.2.4. That’s the core standard. See, I’m learning to include these things. On the 2nd page there’s a box for Parent Tips. I tried to balance straight prodedural tips (like the one above) with quotes from experts about the importance of reading fluency. Then there are 4 questions: three multliple choice and one open-ended essay question intended to help the kids connect with the story on a personal level. These questions lead to some great classroom discussion, just FYI. And what’s that in the bottom corner? That’s right--more core documentation! This time it relates to the Reading Literature or Reading Informational Text standards that the questions support. It’s such a thrill to watch how the students’ rate goes up over the course of the year. I’ve found this weekly assigment to be such a good assessment. Earlier this week I was looking through some of our Words Their Way posts and noticed that we gave away the game "Smackdown" but the link to the download was buried in another post and it was hard to find. To make it easier, I'm sharing the game here again. Smackdown is a slap-jack like card game for two players. The game teaches VCV and VCCV patterns. It coordinates with Words Their Way Syllabiles & Affixes stage (Syllable Juncture). The download includes directions, the game, and a practice skill sheet. We've got a new printable busy bag activity for you in honor of St. Patrick's day. Counting Leprechaun Gold. There are 10 pots of gold, each with a number 1-10. 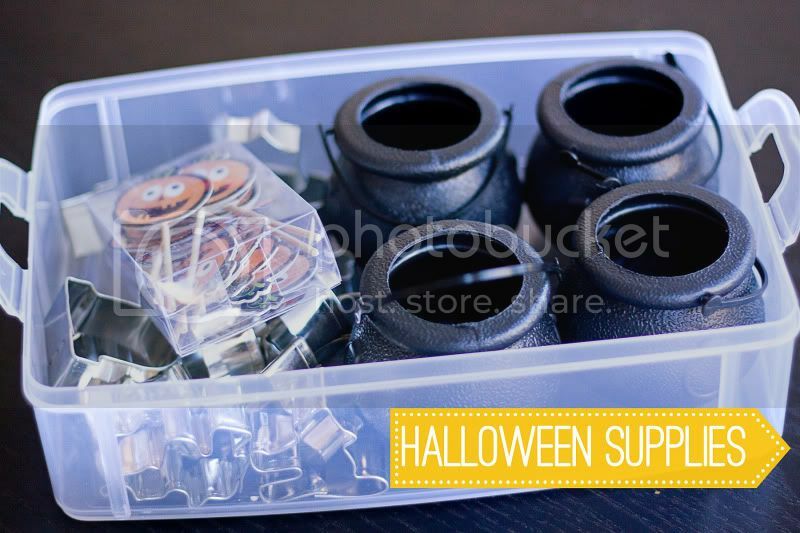 Using plastic gold coins, chocolate coins, pennies, or the printable coins included in the download, your little one will count out enough coins to match the number on each pot. Pretty simple! I rounded the corners of my pages but you certainly don't need to. If you hope to use the cards many times you might consider laminating it. Just a note, we call this a busy bag because that's our "thing" around here. But this could be a tot tray activity, a preschool center activity, a St. Patrick's Day party game or whatever you want it to be! Download the Counting Leprechaun Gold busy bag for free Counting Leprechaun Gold busy bag. If you like this printable we'd love if you shared it on Twitter, Facebook or Pinterest! See more St. Patrick's Day ideas here and busy bag ideas here on my Pinterest boards. I want to share a fun heart themed busy bag with you today. Use the pattern cards and heart cut outs to make colorful heart patterns. This is a great opportunity to practice continuing patterns and building your own patterns. I used wooden heart discs from Hobby Lobby for our bag. I painted them red, pink and blue with acrylic paint. I actually painted enough for two bags. You only need 4 of each color to do any of the pattern cards. When you download the files you'll find a page of colored heart patterns and a page of AB letter patterns with some blank hearts you can color yourself. If you don't want to use wooden discs, I have a couple of options for you. First, you can print out the pages of colored heart cards. Or if you have a Silhouette cutter, you can use the Silhouette studio file I included to cut out the hearts on any colored paper you wish! I hope with the different file options you can find a way to make this busy bag work for you. Download the Valentine Hearts Busy Bag files and get patterning! Follow me on Pinterest for more Valentines and Busy Bag ideas. Heidi gave me the most fun and thoughtful gift for Christmas. 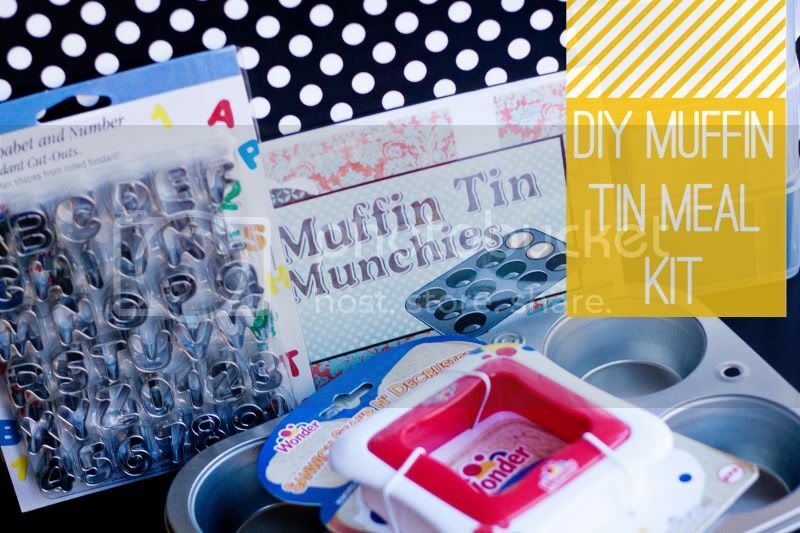 A muffin tin meal kit! Don't know about muffin tin meals? Read about them here. 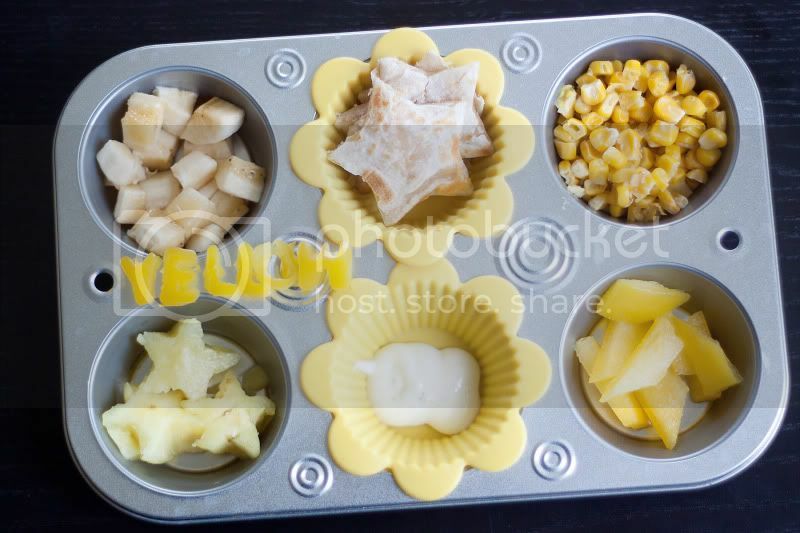 Take a look at what Heidi included in the kit. The majority of the supplies are in this box which has 3 interlocking levels. The bottom level has an organizer that I may or may not keep. I haven't decided yet! 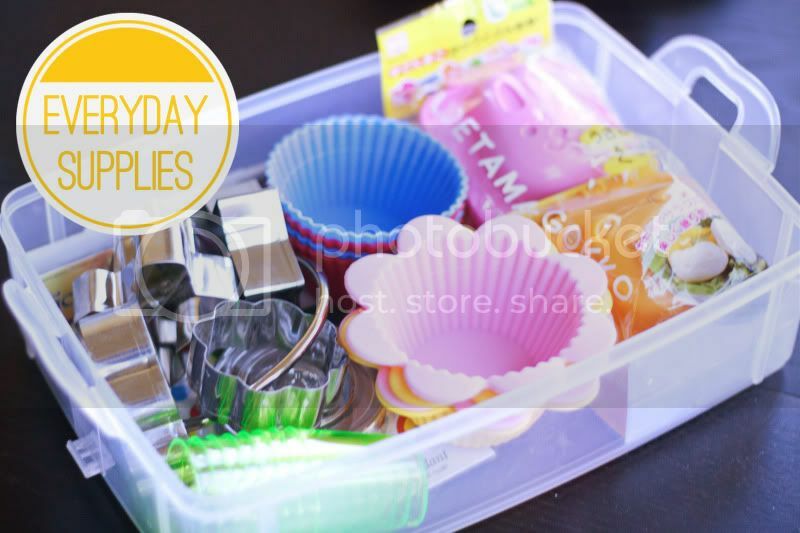 - tiny cups for dips, etc. 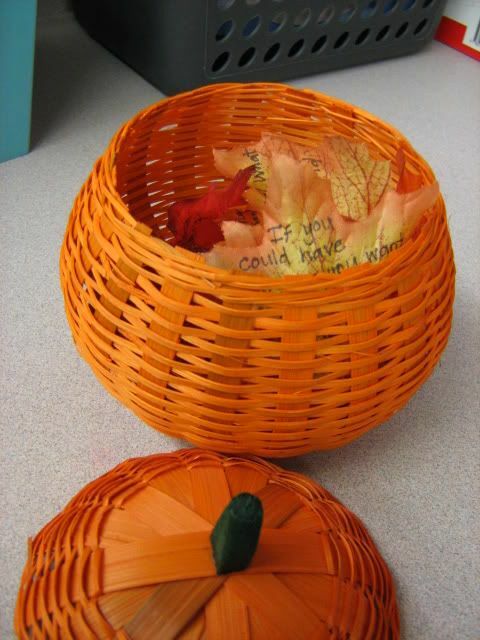 She included one special event drawer too, focused on Halloween. There are a few more included items (shown in the first photo) that didn't fit into the box. - A folder with meal ideas and technique directions. 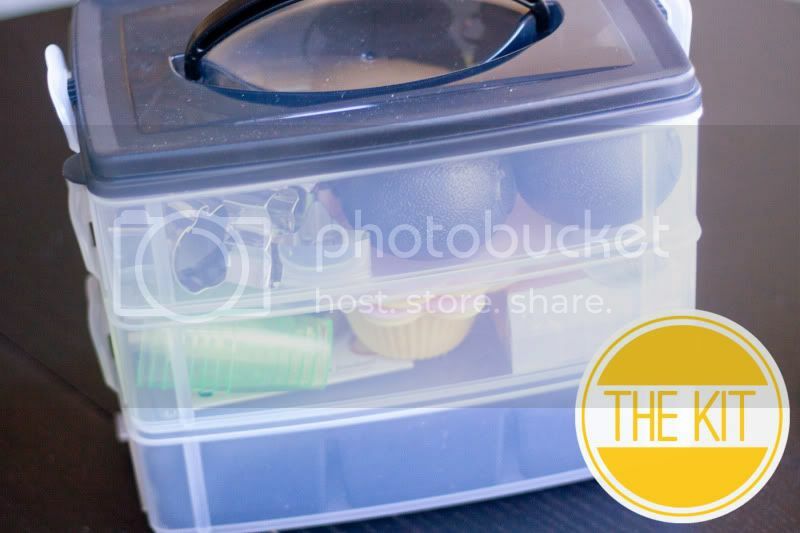 She also made me a muffin tin meal planner and we're sharing the planning page with you today! You can download the page here and print out as many as you want for your own planning book, or just print them as you need them. 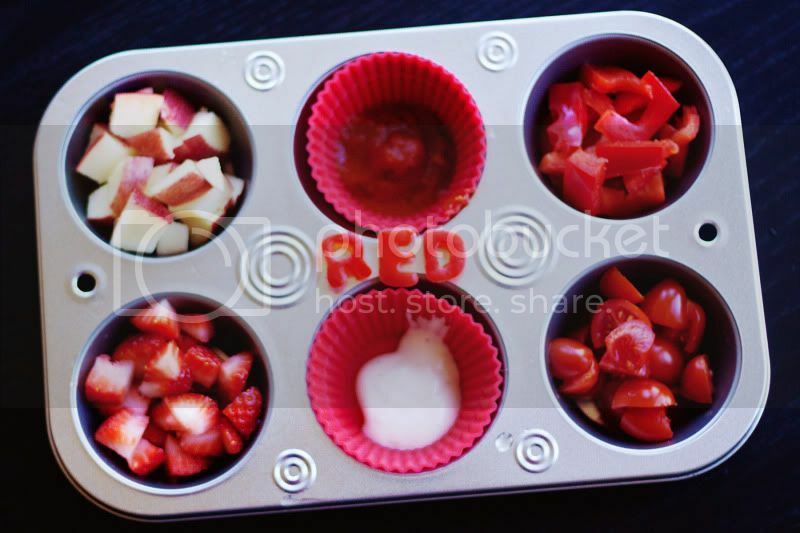 Here are a couple of meals I've thrown together recently for our color themed "Mommy School" (more on that later.) Having the tools on hand made it really easy to whip these up.